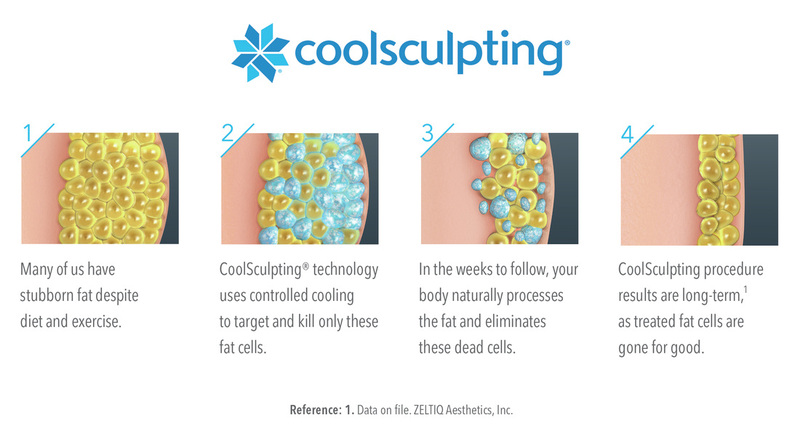 ​The CoolSculpting procedure eliminates stubborn fat safely and effectively, without surgery or downtime. This fat reduction treatment is the only FDA-cleared procedure to use controlled cooling to safely target and eliminate diet- and exercise-resistant fat. CoolSculpting results are proven, noticeable, and lasting, so you'll look and feel great from every angle.